All said, 52 dolphins were taken captive (to be sold to international aquariums) and 41 were slaughtered for their meat. 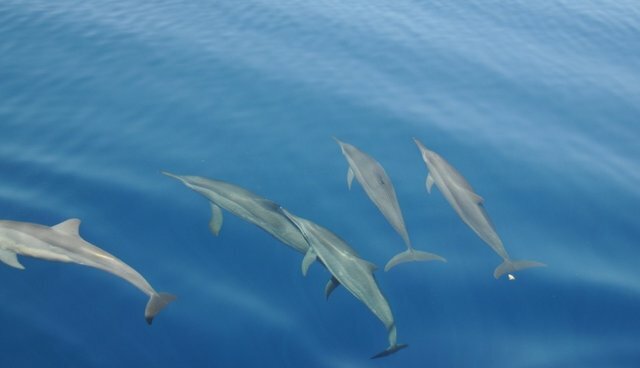 Knowing what we know about the social nature and emotional capacity of dolphins, it's fair to estimate that many of the released ones will die from trauma and despair. Of the 52 captives, a killed spirit will also be their "inexplicable" cause of death. This assertion may seem bold, but as a former marine mammal trainer of 12 years at Marineland of Canada, I can attest to the grief and suffering these sentient beings experience. Many of the wild-caught animals we received did not make the transition into captivity. No amount of medical treatment could alleviate their grief, and no blood work could reveal its source. Simply stated, they no longer had the will to live -- especially without their families. The process of transitioning wild animals into their new captive homes begins with getting them to eat the half-frozen, dead fish we provided. As the animals are reluctant to get close to the trainers, the fish is thrown to them and documented for daily diet records. Ideally, the dolphins (over time) are conditioned to their new realities, becoming the entertainers people pay handsomely to watch perform and/or swim with. This would not work for Sam though, as he never voluntarily took the fish. In an effort to keep Sam alive, we would drain his pool daily, force-feed him fish and inject antibiotics into his back. We would wrap the top and bottom of his rostrum with wringed out towels, pry open his mouth and push frozen fish to the back of his throat. The intrusive and painful nature of this method proved arduous to Sam, who in time would accept the frozen fish without the pre-described pry and push, but never without having to drop the water and coax him to eat. Despite what we believed to be Sam's progress, he would soon die in a Niagara Falls warehouse, void of any natural light, and without any known members of his family. A cause of death was never provided to trainers, nor would it be needed. This old man could not live with the trauma of his experiences. He would not indulge a life without his family and freedom. Sam truly was a warrior.